When you own a business in the hospitality industry, your livelihood depends on providing people with a clean, comfortable environment in which they can rest and relax. Experiencing an untimely bed bug infestation can be catastrophic to your reputation, causing you to lose both customers and profits. K9 bed bug detection services can help you keep your doors open, and in today’s post, we’ll review why they are a must-have expense for your business. Once you have finished reading, be sure to contact Advanced K9 Bed Bug Seekers to schedule an inspection of your commercial property in Denver! When you are worried that bed bugs might be making themselves at home in your hotel, hospital, or nursing home, you want bed bug detection that provides fast and accurate results. This is because early detection of a bed bug infestation is critical in effectively ridding your property of the pest. Trained pest control technicians can certainly perform bed bug inspections, but they are often not as fast or accurate as K9 bed bug detection. A properly trained bed bug dog can detect live bed bug activity with more than 90 percent accuracy, often detecting signs of infestation that the human eye may overlook. Your hospitality business would cease to exist without two key components: your employees and your guests. Because of this, you want to make sure your workers and customers are happy while they’re on your property. Your front desk personnel, cleaning crew, and maintenance team deserve to come to work without worrying about their work conditions. Likewise, your guests deserve to stay on your property without worrying about bringing troublesome hitchhikers home with them. With professional K9 bed bug detection services, you’ll have documentation to show workers and guests that your facility is clear of these nuisance pests. Many business owners hire an experienced bed bug detection team to confirm the presences of bed bugs in their facility. However, these detection services can also be performed following bed bug extermination to confirm the absences of the pest. This can be an incredibly helpful service for those in the hospitality industry. Hiring an exterminator can be expensive, and when you do, you want confirmation that the services they performed were effective. If a bed bug dog discovers live bugs after you have received extermination services, you can activate your warranty with the exterminator for a timely follow-up treatment of your facility. 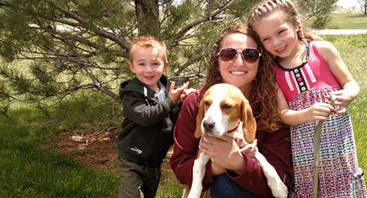 Contact Us for K9 Bed Bug Detection Services in Denver! 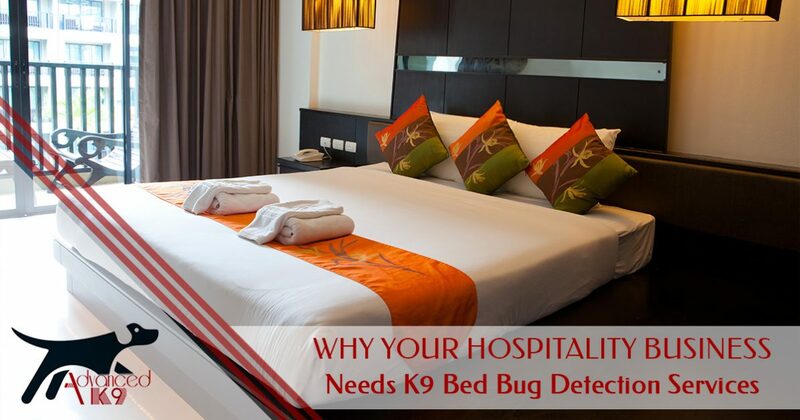 Are you ready to experience the benefits of K9 bed bug detection services for your hospitality business? 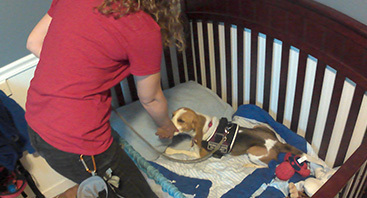 With a fast, but thorough, inspection performed by our bed bug dog, Tracker, you can be confident knowing whether or not you have an active bed bug infestation on your property. This is the first step in ridding your property of bed bugs, and it will provide you with the peace of mind you need to ensure your guests and employees that your workplace is free of these troublesome pests. Ready to get started? Call us at 720-251-2665 today or request your bed bug inspection online now!